Do Bananas Spike Your Insulin? Bananas are a nutritious fruit, with one medium banana containing 110 calories, 1 gram of protein and 3 grams of fiber, as well as 35 percent of the daily value for vitamin B-6, 20 percent of the DV for vitamin C, 10 percent for magnesium, 8 percent for riboflavin, 6 percent for folate, 4 percent for thiamine and niacin, and 2 percent of the DV for vitamin A, iron and phosphorus. Bananas are also a good source of potassium. However, consuming certain types of bananas can slightly increase your insulin levels. A banana has a glycemic index of 50 and a glycemic load of 13. In general, the lower these numbers are, the better. These scores indicate how much of an effect a particular food has on your blood glucose levels and thus your insulin levels as well. A December 2002 article published by Harvard Health Publications recommends consuming carbohydrates with a glycemic index below 55 and a glycemic load in the low teens, as these foods cause minimal spikes of blood glucose and insulin. 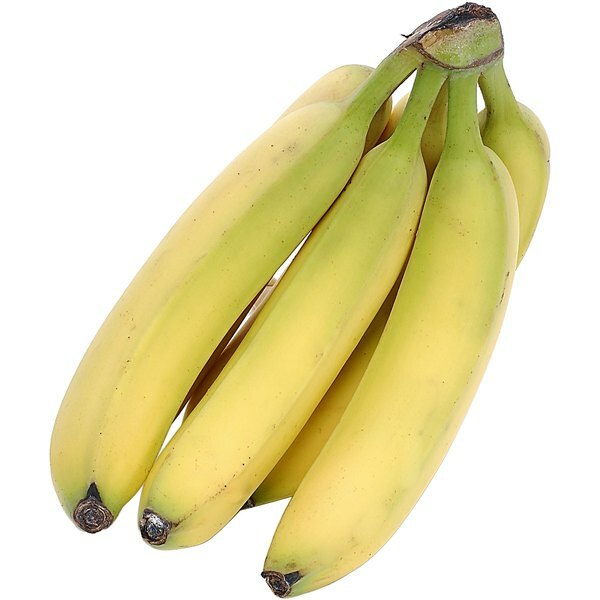 The ripeness of bananas may make a small difference in your insulin response following consumption of bananas, with underripe bananas causing less of a response than overripe bananas, according to a study published in October 1992 in "Diabetic Medicine." This is most likely due to the higher starch content of underripe bananas. However, the slight variations of ripeness between bananas that are mostly yellow with small amounts of green and those that are yellow with brown spots do not make much of a difference in insulin response, according to another study published in December 1993 in the "Journal of the American College of Nutrition." The insulin response bananas cause also depends on what you eat along with the banana. If you consume bananas along with other foods that are low on the glycemic index, including protein-rich foods or foods containing a lot of fiber, these foods may lessen the effect of the banana on blood glucose. Likewise, consuming bananas along with foods high on the glycemic index will cause a larger spike in blood glucose and insulin. Bananas are fine to consume in moderation even for diabetics, especially if you like your bananas a little underripe. Eating them along with meals may cause less of an effect on your blood glucose and insulin levels than eating them by themselves, since they have a medium-high glycemic index when eaten alone.